What are the forces that will create change in the future? Who are the people creating narratives of the future? 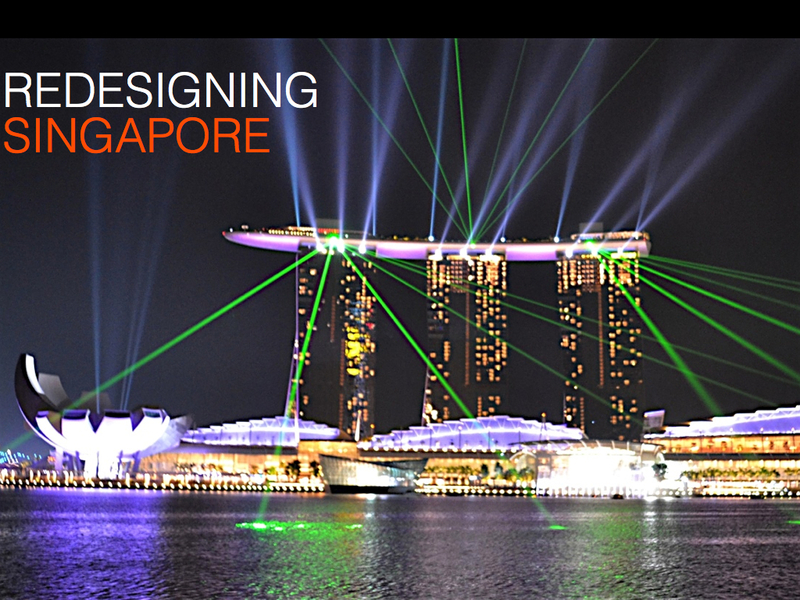 How can we design for a world we want in a future shaped by forces we can’t predict or control? 4:30-5:00 EST Student dyads interview each other: What are your reactions, thoughts, questions about WBCSD and other future visioning organizations and their work? How can designers use/contribute to long horizon vision scenarios? How would you make the Vision 2050, the Pathways Map & other WBCSD tools and the work of the other organizations more useful/usable to accelerate & scale diffusion, acceptance, adoption/execution? Make a concept map: What we like, don’t like, question, would change, agree with, disagree with, don’t understand, want to know more about. 5:00-5:30 EST Dyads present their concept maps (10×3) Post concept maps on the wall. 6:30-7:00 EST Dyads present their concept maps. All discuss, compare, contrast, evaluate the various types of scenarios. Post concept maps on wall. STUDENT-CENTERED OUTCOMES: Measurable or Observable Knowledge, Skills, Attributes, Ability to Apply, Interpret, Create, Design, Explain, etc. What are your reactions, thoughts, questions about PLANPGH and the other sources. Compare & contrast with Vision 2050, the Pathways Map & other WBCSD tools, other strategic future scenarios and design visioning scenarios. How would you make PLANPGH more useful/usable to accelerate & scale diffusion, acceptance, adoption/execution. 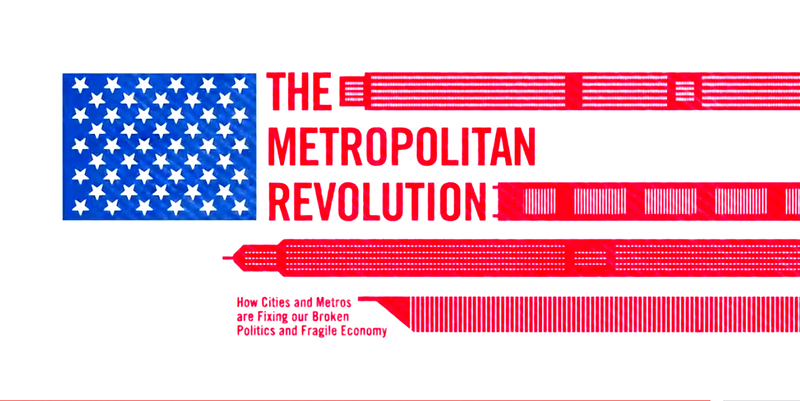 (3) The Metropolitan Revolution: How Cities and Metros are Fixing Their Broken Politics and Fragile Economy Downloadable interactive iTunes app. The Metropolitan Revolution: Videos, etc. Be prepared to discuss outcomes, concerns, questions. At the last class, Alan raised a concern that I don’t think we gave proper attention to. He said that the Life 2050 scenarios by Collective Invention say that everybody will have to use public transportation. He doesn’t want to have be forced to do that. He wants to drive his private car if that’s what he prefers. 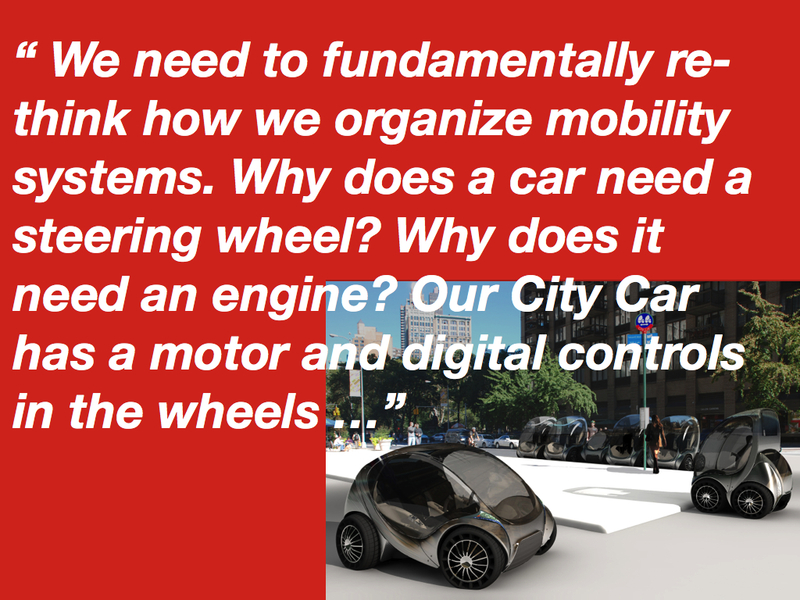 MIT CITY CAR: IS THIS ALAN’S FUTURE CAR? My reply to Alan’s statement was somewhat defensive. I gave a mini-lecture about public transportation. In that exchange, Alan and I were illustrating the central issue upon which all scenarios for the future must turn. That issue is how can Alan and I design a future where his views and mine are understood, respected and served. The issue is how we strike the best balance between individual liberty and freedom of choice vs the well being of society at large and the collective commons – between the privileges of the few and the needs of the many – between self interest vs public interest. The story of civilization has been and always will be the dynamic tension between these poles. History tells us that when things skew too far in either direction: anarchy on one hand or dictatorial conformity on the other, there ensues social unrest, economic upheaval and political disruption – even war. If we think about the future as designers, then we have to explore innovative ways to respond to Alan’s legitimate needs. To do that we need vision goals to use as constraint criteria. Then we have to define solutions that serve a range of preferences. For example, if we say that Life in 2050 has to deliver health, learning, justice, equity, creative opportunity and sustainable prosperity, then those are our constraining criteria for successful life. And that means that we have to understand what those ideas mean for the full spectrum of differential needs, wants and preferences of all the people on the planet. If our planet had inexhaustible resources and infinitely adaptive atmosphere, topsoil and oceans then maybe we could accommodate every individual’s preferences without limitation. We live as if that were the case despite evidence to the contrary. The design question is how shall we design successful life for all in the world as it is. 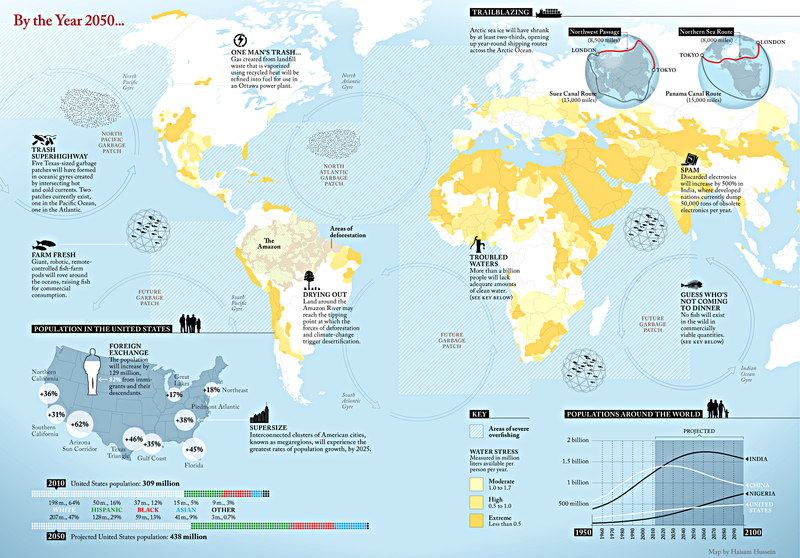 World Footprint: Do we fit on the planet? A Global Network and Platform: We are a global platform and network of partners that come together around the joint commitment to enabling more sustainable lifestyles. The Sustainable Lifestyles Network and Global Platform seeks to inspire decision-makers, stakeholders and the public to think diff -erently about how to enable more sustainable ways of living. Co-creating new stories of our sustainable future, envisioning and designing the future we want are central to this work. We believe that visualizing possible futures helps us to create those futures. I took the Kolb Learning Style Inventory. 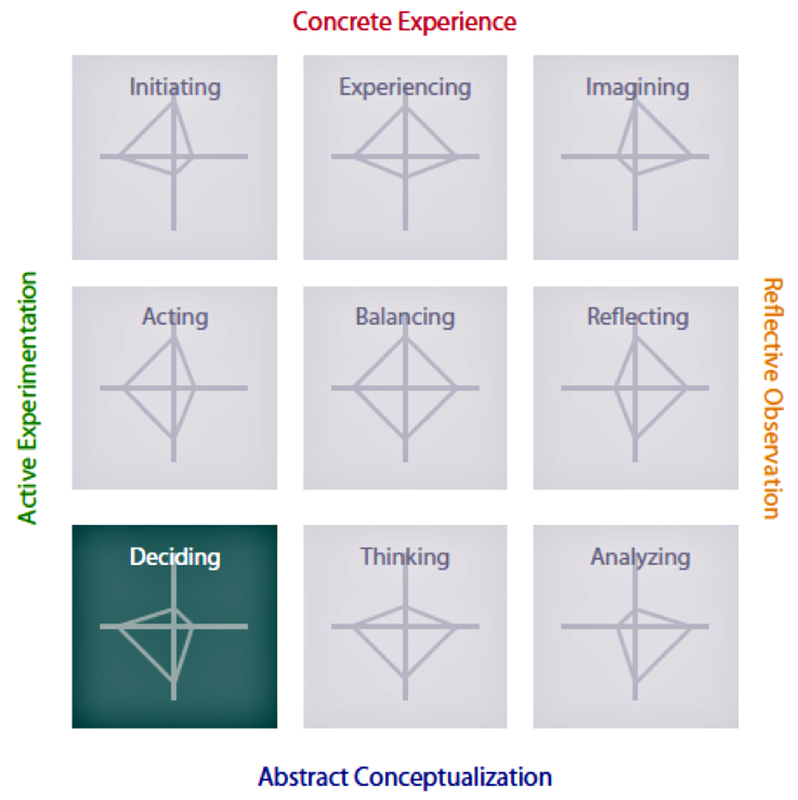 I rated at 100% for Active Experimentation and 72% for Abstract Conceptualization. Which is about right, although Abstract Conceptualization should rate even higher. But I rated only 22% for Concrete Experience and 15% for Reflective Observation. These are both definitely too low. So I would say the test is about 75% accurate. 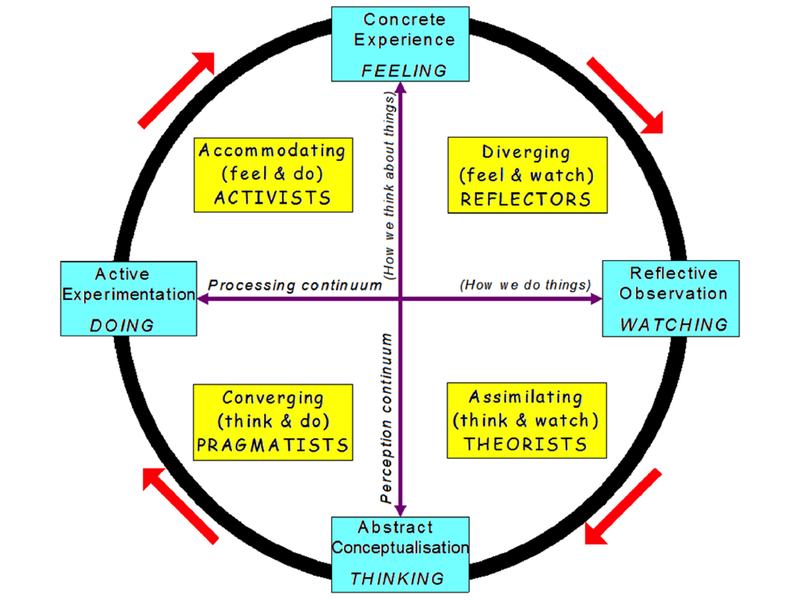 They positioned me as DECIDING, where Thinking and Doing converge, which is about right. But I know I have key traits in other sectors of the cycle. So the test is nominal at best. People tend to be more complex that the survey measures. Students should take the results as a general directional indicator not a rigid categorization. I would like to suggest that every Monday, each student and instructor bring in one example of COOL DESIGN to present in 1 minute and post on their Reflections Journal. 1. Awareness: Something is going on out there! 2. Understanding: Oh, I get it! 3. Acceptance: I intend to engage with this! 4. Adoption: This is part of my life! PREMISE: THE WORK OF DAVE, DAVID, THANASSIS (&TIM ?) IS THEIR WORK WEAK SIGNALS/FUTURE SIGNS FOR 2050? THE FUTURE UNDER CONSTRUCTION ? USE THEIR WORK AS CONCRETE CONTEXTS AND RESOURCES FOR STUDENT TEAM SMESTER PROJECTS.